I’m getting a pedicure today, so I figured it’d be a good day to post a nail tutorial! 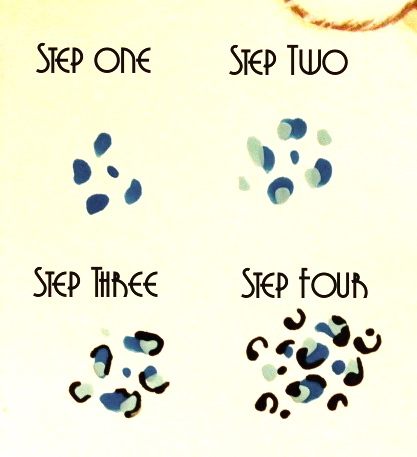 Step One: After you have applied a base color of your choice, and it has dried, take another color (dark blue in how to) and place dots randomly on fingernail. 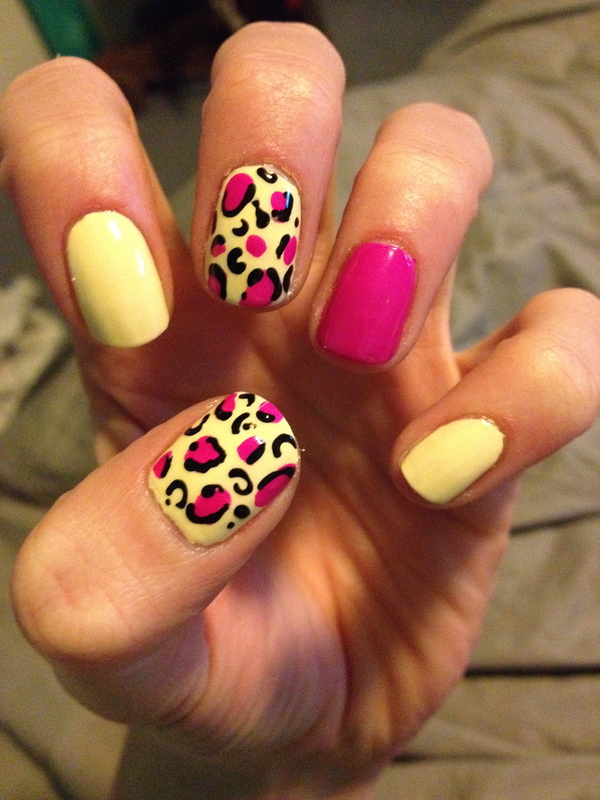 Step Four: Add “c” shapes and a few dots around the edges of the colors using the same color nail pen, striper, etc. you used. Step Five: Once is has all dried, cover with a top coat! There are many variations to the cheetah/leopard nail, so I would suggest experimenting with what you have and seeing what you think looks best! You did a beautiful job on the design. So cute!